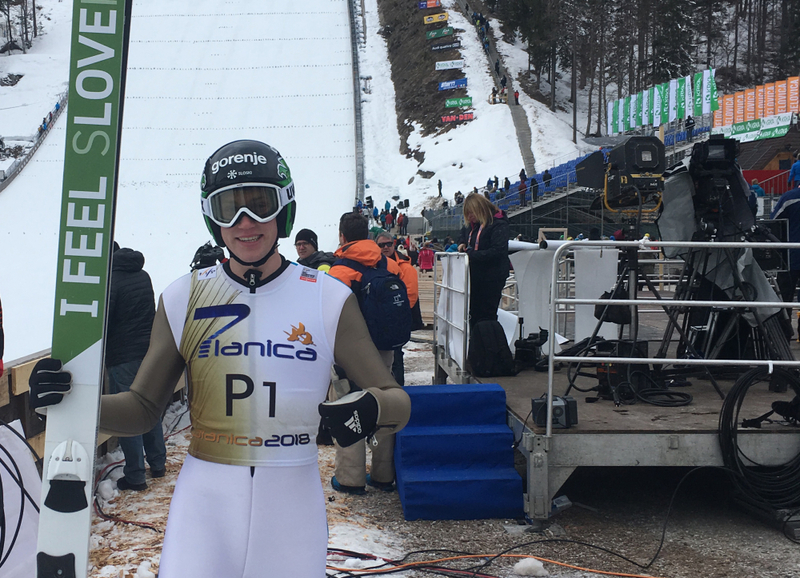 The giant hill in Planica was tested for the first time on Wednesday with trial jumps featuring 35 young athletes, with six of them surpassing the 200-metre mark. Jan Kus and Blaž Pavlič had the day’s longest jump at 222 meters. Local hero Rok Tarman landed at 215 meters. It was Aljaž Vodan (SK Triglav Kranj) who was first on the jumping ramp with a jump of 162 meters. Ito Masamitsu - 146 m Za dobre skoke v daljave, skakalec uživa Derby banane.